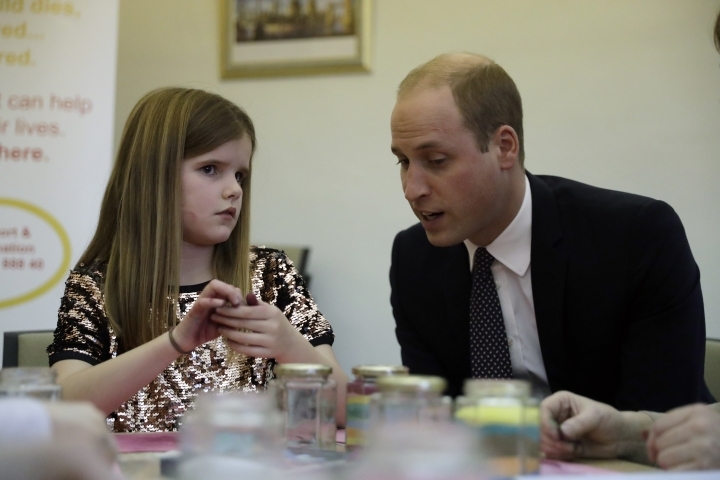 LONDON — Britain's Prince William has comforted a young girl who lost a parent and spoken out about his feelings when his mother, Princess Diana, died two decades ago. 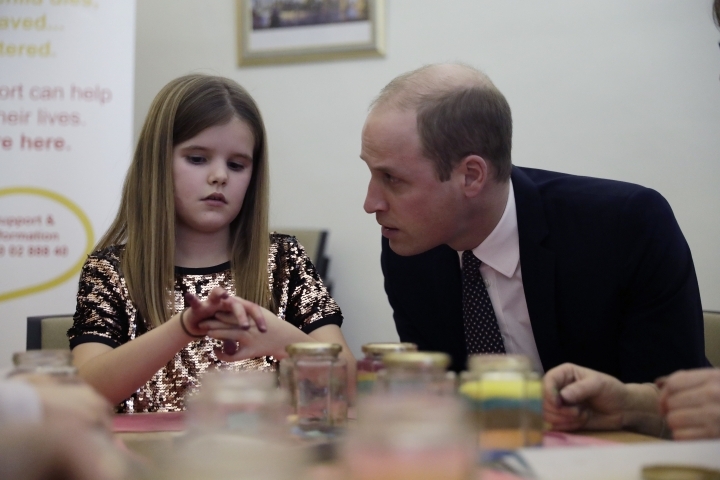 During a visit to the charity Child Bereavement UK in London on Wednesday, William was seen speaking quietly to a 9-year-old girl, Aoife, about the loss of her father. "Do you know what happened to me? You know I lost my mummy when I was very young, too. I was 15 and my brother was 12. So we lost our mummy when we were young as well," he told her, according to the Daily Telegraph. 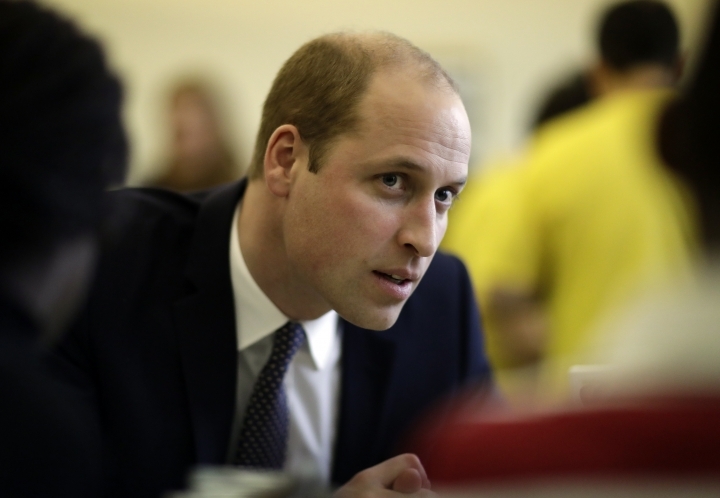 Lorna Ireland, a parent at the event, said William told her 12-year-old son that as a teenager, he was "very angry and found it very difficult to talk about" Diana's death. "It was very personal and it was very special," she said of his comments. 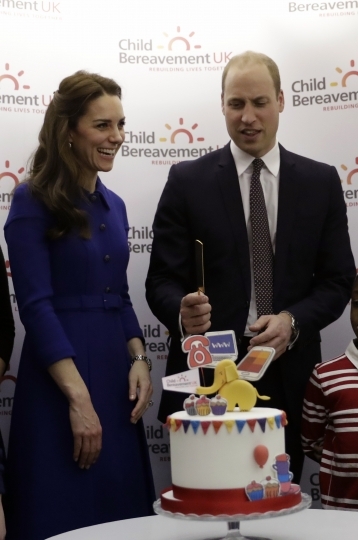 William is a royal patron to the charity, which was also supported by Diana. This year marks 20 years since Diana died in a car crash in Paris in August 1997. The Diana Award, a charity, will remember her life with events including the launch of an international award for young people. Earl Spencer, Diana's brother, will host an exhibition at the family's home and a fundraising event later in the year.